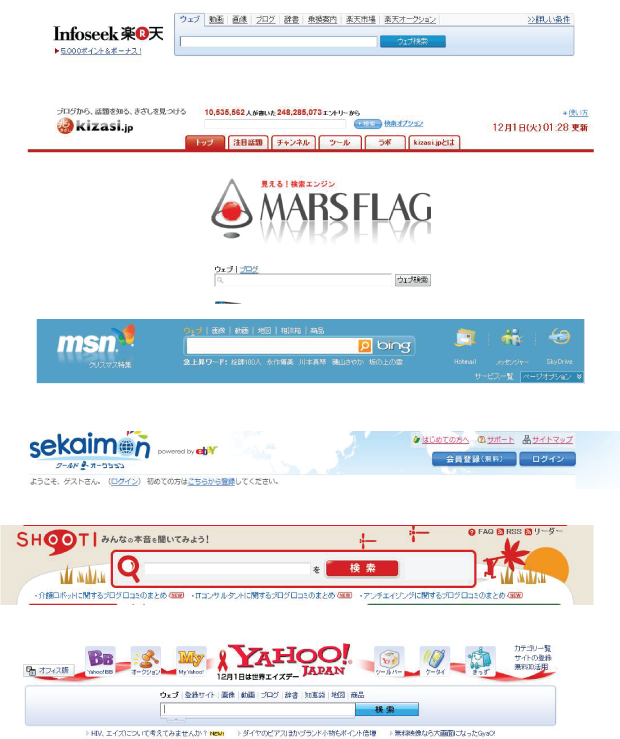 That's crazy the number of search engine companies in the world that use the search bar as an input interface. I mean I am pretty sure that it's the only interface used by any information search system and that it's been used for decades. That's crazy. 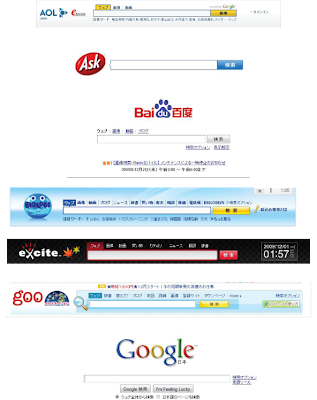 The search bar is regarded as the interface for human beings to communicate with machines. Come on! Within a decade, the computation power has been multiplied by 2^10=1024. 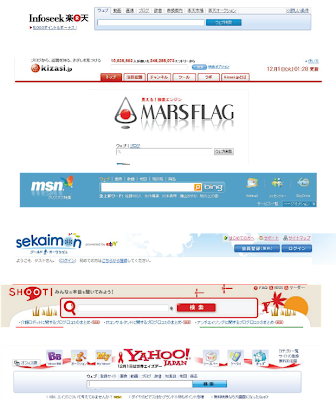 By the way, the search bars in the picture are the search bars used in search engines for the Japanese market.